As the hours pass and a long tiresome day comes to an end, we anticipate going home to the comfort of our cozy sheets for a good nights sleep. We desire the comfortable feeling of quality sheets without having to constantly refit the sheets around the mattress. Finding a great deal on bed sheets requires more than just looking at the cost to your pockets, but also the cost to the amount of sleep you can get on those sheets. Buying low-quality sheets is a waste of your time and money. 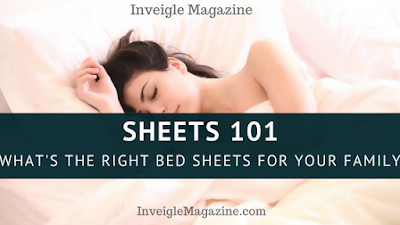 Some sheets may appear to be made of quality material, but are barely average. We want the perfect sheets for our bedroom; as well as, for our guest bedroom. Of course we want our company cozy as they sleep the night away. Well, we are always hearing about the thread count of quality sheets, which can range from 200 to 800 counts. Thread count refers to the number of horizontal and vertical threads per square inch on a piece of fabric — or in this case, a bed sheet. Usually, if sheets have higher thread count, they’ll feel softer, more luxurious and wear more evenly. High-quality bed sheets will even get softer and more comfortable with each wash. There are so many diverse Sheet Sets with various thread counts to choose from for your particular sleeping and lounging needs. 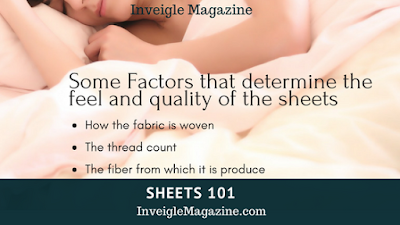 There are a variety of factors that determine the feel and quality of the sheets you choose to purchase for your family. The fiber from which it is produce - Cotton is the most common fiber for bed sheets. American Upland is the most widely used cotton and can be short- to long-staple ("staple" refers to the length of the individual fibers). If a label only reads "100 percent cotton," it is likely to be American Upland. Pima is a fine, long-staple cotton that yields a very soft weave. The word "Supima" often appears on the labels of Pima sheets as a trademark of the Supima Association, which promotes Pima cotton. Egyptian cotton is the finest, longest-staple of all. Grown in the Nile River Valley, Egyptian cotton produces an extremely soft and supple weave. Sometimes our sheets can get a little aggravating and will not stay fitted on the corners of the bed. What's the purpose of a sheet that's not going to do its job and cover that expensive mattress you are trying so hard to safeguard? Well, It has been stated that Quickzip sheets stay snugly on the bed, but they are not water-proof. Water-proof mattress pads are also available to purchase with Quickzip sheets. The foundations of the patented QuickZip system are the base and the zip-on sheet. The base hugs the sides of the mattress with vertical elastic in the corners and a generous overlap underneath with sturdy elastic so it will stay snugly in place and won't pop off the mattress.The zip-on sheet attaches easily to the base by a zipper that is covered and out of sight.To change: zip off, and zip on a crisp, clean zip-on sheet. Now that you know a little more about sheets, What kind do you think you'll try next?